On Wednesday, we looked at last weekend’s fatal accident which involved unexpected black ice on I-85. Yesterday, the Charlotte Observer reported that inspectors are studying the portion of I-85 on which the accident occurred. The man who died in Sunday’s early morning accident was not the only one who encountered the unexpected ice that morning. Later that morning, around 7:00 a.m., a woman was involved in a similar accident on the same part of I-85. The woman went to the hospital but suffered non-life-threatening injuries. Before the fatal accident around 2:30 a.m., 911 received at least two calls from drivers who were surprised by the unexpected ice because there was no precipitation that day. The first call was received around 1:30 a.m. and was from a man who warned of “black ice that just sneaks up on you.” The second call was received around 2:00 a.m. and was from a woman who encountered a slippery spot on the same stretch of road and “almost lost it.” After receiving the calls, an officer went to the area but could not locate the icy spot. After the accidents, the DOT treated the icy area with salt and sand to melt the ice and increase traction. They also examined the road to find other potential icy patches. The Highway Patrol explained that the cause of the ice related to the poor drainage in that area of I-85. The ground was saturated from the rain that had fallen in the area last week. Water then seeped up through cracks in the road. Because of the poor drainage, the water had nowhere to go and pooled on the road. When the temperature dropped, the pooled water turned to ice. The area of ice was described as being as long as two football fields. The DOT is now working on collecting data involving crashes and examining the road to determine how the problem can be fixed. They have not indicated when we can expect a solution. In the short term, it seems that putting up warning signs would at least eliminate the unexpected nature of the problem. Generally, a driver is not excused from exercising reasonable care when he encounters icy conditions. In fact, North Carolina statute G.S. 20-141(a) states that “[n]o person shall drive a vehicle on a highway or in a public vehicular area at a speed greater than is reasonable and prudent under the conditions then existing.” One exception to this rule is when a driver encounters icy conditions that are unexpected. We might assume that the same would be true if it had rained earlier in the day so that the roads were still wet and subsequently ice formed because temperatures dropped. Although a driver encountering an icy patch under such conditions might not have previously seen actual ice on the roads, he would be on notice of potential icy conditions because he would know that the roads were wet and that water on the roads can turn into ice when temperatures drop. However, in Sunday’s case of ice developing on the roadways, the icy patch encountered by drivers was arguably unexpected. It had not rained earlier in the day and the rest of the road was dry. The ice was formed by water seeping up through the cracks in the road, pooling and then freezing when temperatures dropped. It would be quite a stretch to argue that drivers should have known of the drainage issues in that area of I-85 and the potential for rainwater from earlier in the week to pool on the road. Why is relevant whether the icy patch is expected or unexpected? When a driver encounters an unexpected icy patch, he might argue that the sudden emergency doctrine is applicable. Under this doctrine, when a driver encounters a sudden emergency, he is only required to act as a reasonable man might act in such an emergency. For the sudden emergency doctrine to be applicable, a driver must prove that he encountered a sudden emergency and that the emergency was not created through his own negligence. When a driver is on notice of potential icy road conditions, North Carolina courts have held that the sudden emergency doctrine is not applicable because the drive did not encounter a sudden emergency and the driver was obligated to exercise reasonable care under such icy conditions. However, where an icy patch is unexpected, the driver is then only required to exercise the care of a reasonable person in such an emergency. What if the DOT or Highway Patrol posted signs sufficiently ahead of the icy portion of I-85 to warn approaching drivers of the ice ahead? In this case, the drivers encountering the ice would be on notice of the icy conditions and could not argue that the ice was unexpected. Therefore, they would not encounter a sudden emergency and would be required to use reasonable care given the icy conditions. We hope that the DOT is able to develop a solution to the drainage issues in this portion of I-85 soon and that, in the meantime, people stay safe when traveling in that area. 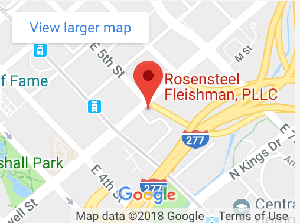 If you have been injured in a car accident involving icy conditions, contact an attorney at Rosensteel Fleishman, PLLC (704) 714-1450, to discuss your options.